Compressed air contains naturally occurring moisture, which can negatively affect applications that require moisture-free air. 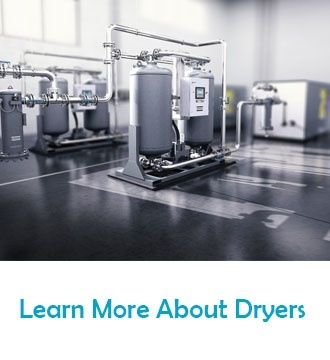 Dryers are a common solution for removing moisture content. 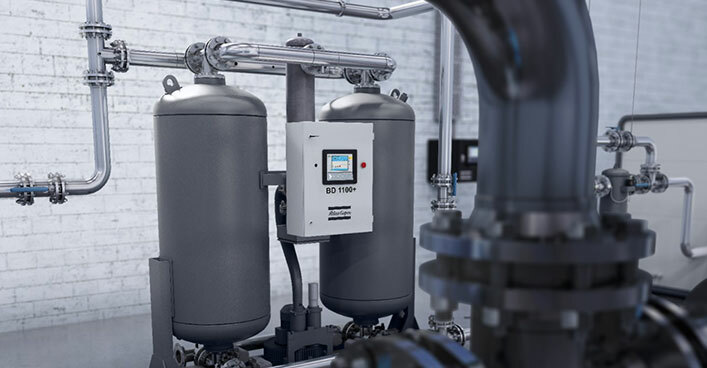 One of the most popular options is the refrigerated air dryer because of its ability to reach an acceptable dew point in general industrial plant air applications. How do refrigerated air dryers work? Refrigerated air dryers operate with a similar principle to domestic refrigerators or home air conditioning systems. The compressed air is cooled in an air-to-refrigerant heat exchanger to about 35°F, a temperature where the moisture condenses and is drained off. An air-to-air heat exchanger is used to both pre-cool the incoming air, and re-heat the outgoing air as it leaves the dryer. The compressed air leaving the dryer has a pressure dew point of 35 to 50°F. In a non-cycling refrigerated dryer, the refrigerant circulates continuously through the system. Because both the flow of compressed air and ambient temperatures vary, a hot gas bypass valve is often used to regulate the temperature of the refrigerant while preventing freezing operating conditions within the system. 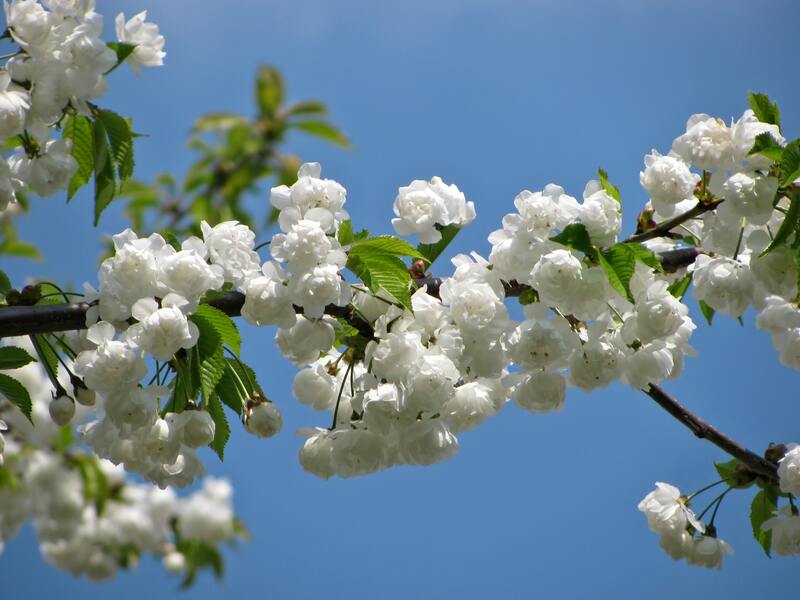 In most designs, the refrigerant evaporates within the air-to-refrigerant heat exchanger. The refrigerant is then condensed after being compressed by an air- or water-to-refrigerant heat exchanger. This design provides rapid response to changes in operating loads. Most compressed air systems do not operate under static flow and temperature conditions. 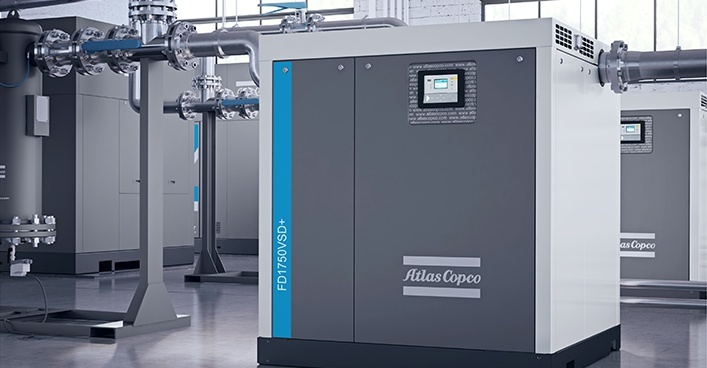 In order to match dryer energy consumption to air demand, a variable speed refrigeration system can be used to control the refrigerant compressor during reduced loads and lower temperatures conditions. This provides significant savings in operating costs compared to non-cycling dryers. Learn more about refrigerated air dryers, their benefits and technology. Wondering what’s the best solution for your applications? Leave us a comment below, and a product expert will get back to you with more information.